Mission: Within the international sphere of artistic grants and residency programs, the Akademie Schloss Solitude is unique; an institution with a truly new spirit. In the daily practice of this »Esprit Solitude«, fresh solutions are found – always artistic and as unbureaucratic as possible: the selection process, the opportunity to finance projects from one’s own budget, the self-evident international atmosphere. Hundreds of artists have taken part in the Akademie’s program since its opening, creating a close-knit, global network of Solitude alumni that expands from year to year. The program is inherent in the name »Akademie Schloss Solitude«: It combines the idea of an academy for scientific and artistic exchange with that of a retreat – which Schloss Solitude has always been. The Akademie, founded at Solitude in 1990, operates in the intermediary space between private and public; where art is reflected upon and produced but where it also finds a connection to the public. The Akademie places particular value on offering its guests another »quality« of time – one that is better than the artists would experience in their daily lives. A residence in a place like Solitude should therefore be understood as an investment in the future; an investment that, for both the participating artists and the institutions, may bear fruit much later. Founded in 1990, the Akademie Schloss Solitude is a foundation under public law. According to its statutes, its task is to promote mainly younger, particularly gifted artists by means of residence fellowships, and by organizing public performances, readings, concerts and exhibitions by its residents. Akademie Schloss Solitude is subsidized by the State of Baden-Württemberg Lottery. Cost: The Akademie Schloss Solitude fellowship is a residence fellowship. 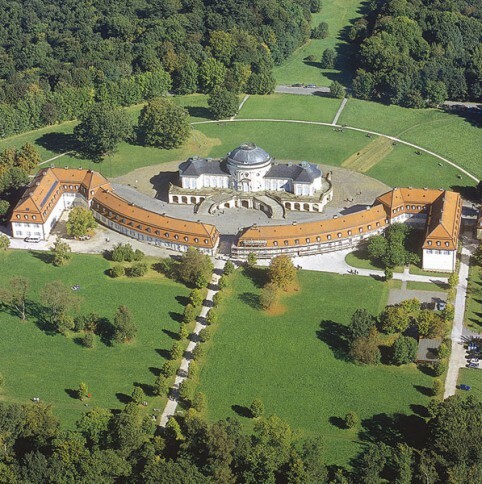 It is expected that the fellows spend at least two-thirds of their residency at Akademie Schloss Solitude. Several fellowships are also awarded regardless of the applicant’s age. It is possible to complete a project within the framework of the fellowship. 50 to 70 fellowships are allocated every 24 months. Akademie Schloss Solitude has 45 studios at its disposal. Fellowships are granted for three to twelve months. Accommodations: A combined apartment / studio, furnished with electricity, water and heat free of charge. Demographic: Persons up to 35 or if older who have completed a university or college degree within the past five years are welcome to apply. Currently enrolled university or college students (at the time of application) will not be considered for selection. International artists are invited to apply. Applicants not selected in the current selection process can reapply a maximum of two more times. Former fellows of Akademie Schloss Solitude are not eligible. Medium: Architecture (design, landscape architecture, urban planning), Visual Arts (including performance art), Performing Arts (stage design, dramatic texts, dramaturgy, musical theater, performance, direction, drama, dance), Design (fashion, costume, product and furniture design, visual communication), Literature (essay, criticism, poetry, prose, translation), Music/Sound (interpretation, sound installation, sound performance, composition) and Video/Film/New Media (including video installation, fiction and documentary). Furthermore, scholars, scientists and professionals from the disciplines of the Humanities (including social sciences), Exact Sciences, Economy/Economics and Chess are invited to apply. Benefits: A combined apartment / studio, furnished with electricity, water and heat free of charge. A stipend amounting to Euro 1,100 monthly (plus one-time expenses incurred by the fellowship holder travelling to and from Stuttgart from his or her primary place of residence).The Akademie may also offer additional financial supplements, depending on its respective budget situation. A supplement for so-called double housekeeping (subsidy for apartment or studio costs); freight cost subsidy for the transport of materials, tools and instruments to and from Stuttgart; a project promotion subsidy and a one-time materials subsidy; in the case of non-German guests (from non EU-countries), assumption of part of their health insurance expenses. 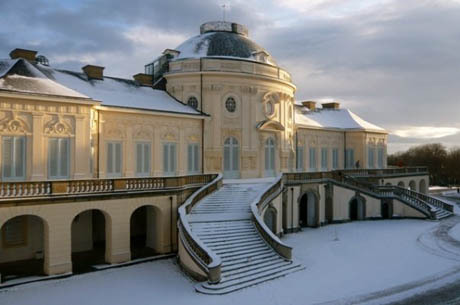 The use of the workshops owned by Akademie Schloss Solitude under the supervision of the technical director, are free of charge for fellowship holders. In light of the historical character and architectural substance of the building, the combined apartment/studios are generally only suitable for one person. 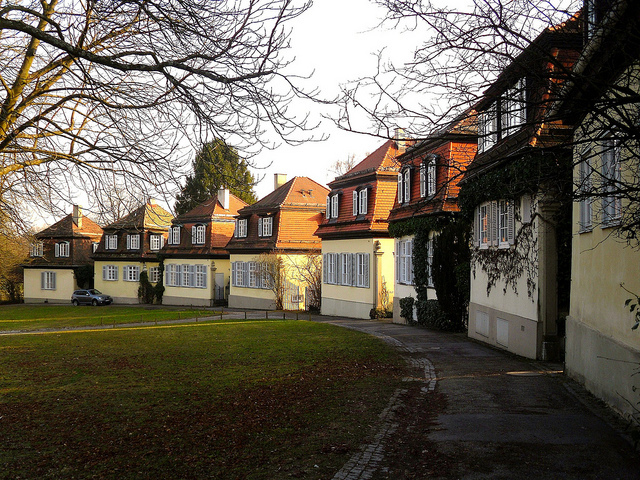 In special cases the Akademie will consider allocating two studios for families. Posted in Akademie Schloss Solitude, GermanyTagged 12 months, 1990, 20 artists at a time, 24 months, 3 months, 45 studios, Akademie, and furniture, apartment, Architecture, art residency, artist grant, Artist Residency, artistic, award, Baden-Württemberg, budget, chess, class, college degree required, completed university, composition, concerts, costume, criticism, Dance, design, Deutschland, direction, documentary, double housekeeping, drama, dramatic texts, dramaturgy, economics, economy, Emerging, essay, exact, exhibitions, fashion, fellows, Fellowship, fellowships, fiction, Film, finance, financial, free application fee, freight cost, furnished, Germany, grants, health insurance, Humanities, institution, International, interpretation, investment, landscape, Literature, Lottery, materials, Music, musical theatre, New Media, no application fee, of time, Performance, performance art, performances, performancs, poetry, private, product, professionals, project promotion, projects, prose, public, quality, Rate My Artist Residency, Readings, residency, residency programs, Schloss, scholars, sciences, Scientists, social, Solitude, Sound, sound installation, sound performance, sphere, stage design, State, Stipend, Studio, Stuttgart, subsidized, supplements, theater, translation, travelling expenses, urban planning, Video, video installation, Visual Arts, visual communication, workshops, world, world-class, young artists, youngerBookmark the permalink.